The word “hilāl / ﻫﻼﻝ,” means a crescent and does not refer to the birth of the moon (muhaq / ﻣﺣﺎﻕ). And the word seeing (ru`yah / ﺭﺅﻳﺔ) must be interpreted in its literal (haqīqī / ﺣﻘﻴﻘﻲ) sense and not metaphorical (majazī / ﻣﺟﺎﺯﻱ) meaning in accordance with basic rules in legal hermeneutics. Most significantly, the text, “Do not fast until you sight the crescent…,” uses the strongest, most unequivocal language that sighting and only sighting is the means of ascertaining the beginning of the month. 2. The imperative command, uqdurū lah / ﺃﻗﺪﺮﻭﺍ ﻟﻪ, means calculate the stages and months of the moon (Paper, 53). Ibn ‘Umar (Allah be pleased with them both) fasted on the 30th if it was cloudy and this “categorically refutes the argument” that actual sighting of the crescent is required (Paper, 36). The imperative, uqduru / ﺃﻗﺪﺮﻮﺍ, is a homonym (mushtarak / ﻣﺷﺘﺭﻙ), a word that carries two or more meanings with equal probability, and may mean complete, estimate, measure, or even a process of ijtihad. Ibn ‘Umar’s (Allah be pleased with them both) practice of fasting on the cloudy day of the 30th says nothing about sighting and only speaks to the conditional case when the crescent is obscured from view. Last, and most critically, the texts are explicit (sarīh/ ﺻﺭﻳﺢ) that the imperative of uqdurū /ﺃﻗﺪﺮﻮﺍ is not an unrestricted dispensation but conditional upon the moon being obscured from vision. 3. The command to physically sight the crescent was due to the fact that Muslims at that time did not know how to write or calculate. The Muslim community today does have knowledge in these areas. Actual sighting is no longer necessary (Paper, 59-61). The reason (al-‘Illah / ﺍﻟﻌﻟﺔ) for physical sighting – that is, illiteracy – is not explicit (sarīhah / ﺻﺭﻳﺤﺔ) or definitive (qat‘iyyah / ﻗﻄﻌﯾﺔ) but rather implicit (ghayr sarīhah / ﻏﻴﺭﺻﺭﻳﺤﺔ) and probable (zanniyyah / ﻅﻨﯾﺔ). No explicit reason has been given by the Lawgiver. More seriously, if illiteracy is the assumed reason for physical sighting and if we assume that the imperative uqdurū / ﺃﻗﺪﺮﻮﺍ means to calculate, there is a clear contradiction (ta‘ārud / ﺗﻌﺎﺭﺽ) between texts. Rasūlullah (ﺻﻠﯽ ﺍﷲ ﻋﻠﻴﻪ ﻭ ﺳﻠﻢ) would then be commanding a nation that did not know how to count or to compute to count and compute. Legal reasoning dictates that we give primacy to the definitive text – to fast only when you physically sight the crescent – over the probable interpretation of the cause of illiteracy; and requires that general principles of objectives be understood in the light of specific texts, and vice versa. Both general principles and specific texts are violated in this instance. 4. Sighting the crescent is only a means to establish the month. Modern science can calculate the birth of the moon and the beginning of the month with accuracy (Paper, 23, 59-61). Usage of calculation for other acts of worship as well as Rasūlullah’s (ﺻﻠﯽ ﺍﷲ ﻋﻠﻴﻪ ﻭ ﺳﻠﻢ) month-long separation (īlā` / ﺇﯿﻼﺀ) from his wives demonstrates this point (Paper, 37). It is universally accepted that while there is scientific precision in calculating the birth or conjunction of the moon, science can only probabilistically determine the visibility of the crescent. As mentioned in the first argument, the text on this issue – “Do not fast until you sight the crescent…” – is explicit (sarīh/ ﺻﺭﻳﺢ) and definitive (qat‘ī / ﻗﻄﻌﻲ) in its meaning (ﺩﻻﻟﺔ). To ignore that explicit intent, and instead connect the beginning of the month with the birth of the moon, is an unjustified violation of the law. The Lawgiver did not assign any such textual conditions of “sighting” with reference to other acts of worship. The absence of such textual explicitness regarding exclusivity opens the door to the possibility of other methods for the determination of times as long as they lead to the same level of certainty. And lastly, Rasūlullah’s (ﺻﻠﯽ ﺍﷲ ﻋﻠﻴﻪ ﻭ ﺳﻠﻢ) separation from his wives in no way proves calculation: The elapse of time and the law of īla` / ﺍﻴﻼﺀ was meant for mere duration and not a month-to-month observance. 5. A number of scholars of old have argued in favor of accepting calculations “in part or totality” and the number of scholars inclined toward partial or total acceptance of astronomical calculations is increasing (Paper, 62-63). Although the science of determining the birth of the moon was fairly well established in classical times, not one single classical scholar supports unconditional astronomical computation for beginning Ramadan and a slim minority – four or five only – support calculation under conditions – when, for example, it is cloudy, in conformity with the texts; or to negate an impossible claim of sighting. 6. Muslims all over the world, especially in the West, suffer a great deal of hardship (mashaqqah / ﻣﺸﻘﺔ) due to physical sighting (Paper, 23) and physical sighting is a cause of disunity and discord (Statement, 1-2). Islamic law does not aim to ameliorate every hardship but only excessive hardship that is regular and not rare. It cannot in good conscience be claimed that remaining awake past midnight for one night a year constitutes excessive hardship, or even hardship, neither for students nor those in the labor force. Moreover, it is difficult to appreciate how unconditional astronomical calculation is going to lead to greater unity given that it is a significant departure from centuries of scholarship and local tradition. If anything, it will lead to increased disunity. 7. The sighting of the crescent is not an act of worship (ta‘abbudī / ﺘﻌﺒﺪﻱ). It is simply a means to know the entry of the month of Ramadan which can be determined accurately through the birth of the moon (Paper, 61). The vast majority of early scholars, many of whom were competent in astronomical calculation, held that the sighting of the crescent is ta‘abbudī / ﺘﻌﺒﺪﻱ and is a cause (sabab / ﺴﺑﺐ) for fasting. They did so on the basis that the sighting (ru`yah / ﺭﺅﻳﺔ) of the crescent is a declaratory law, or hukm wad‘ī / ﺤﻛﻡ ﻮﻀﻌﻲ, that is assigned by the Lawgiver to determine the beginning of Ramadan and, as such, cannot be changed. This is distinguishable from a hukm taklīfī / ﺤﻜﻢ ﺘﻜﻠﻴﻔﻲ which may change depending on the existence or non-existence of an effective cause or ‘illah / ﻋﻠﺔ. 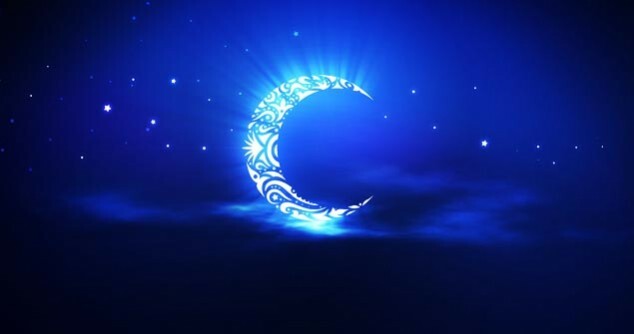 Just as one, for example, cannot re-assign the month of fasting to any other part of the year due to the hardships of fasting in the summer, one may not substitute the sighting of the crescent with any other means to indicate the entry of the month of Ramadan. A dispassionate legal analysis of all relevant texts produces at least four significant conclusions: it confirms the true intent of the Lawgiver in a systematic, holistic and harmonious manner; it vindicates the received opinions – an overwhelming majority – of over 1400 years of Islamic scholarship; it provides a natural, sacred and communal beginning to a month of natural, sacred and communal return to God through the checks and balances of sighting the crescent over a mechanized and currently probabilistic computational science of crescent sightability; and it preserves both the letter and spirit of the law. Allāh knows best. May Allāh shower His most beloved Rasūl (ﺻﻠﯽ ﺍﷲ ﻋﻠﻴﻪ ﻭ ﺳﻠﻢ) – our only way to Him – with the purest of blessings. And may He guide us all, through His most beloved, to what is most beloved to Him.